We'll be spending the next couple of weeks up the West coast of Thailand exploring the islands and beaches. New Year off Patong sounds like the thing to do. Will post more pictures in the coming days. Hoping that you all had a happy, safe holiday surrounded with the people that you love! 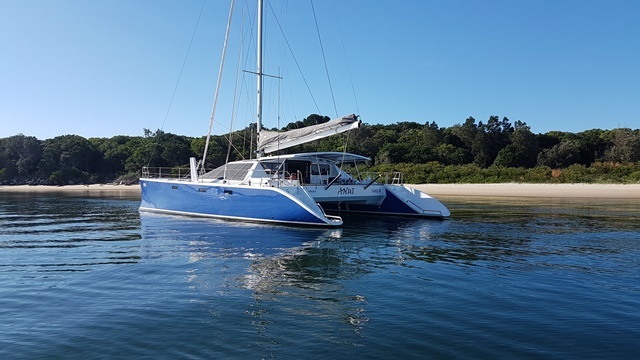 it is the time of year when we are once again in Yamba, and, missing seeing your boat moored at the Marina, i thought i would drop you a note to wish you all Happy New Year and season's blessings. we will be roaming Yamba for three weeks and have been here since New Year's Day. Yamba has seen some changes since January last year. McDonalds has moved in (yuck), Burr has moved around into the Marina and there has been some beautification of the main street near the entrance to Calypso. Sadly the new toilets, showers and laundry promised for the Calypso have still not materialised. I rode out to Angourie today which has not changed an iota. I have read your blog with interest and it sounds as though you are all having an awesome time, filled full of amazing, irreplaceable experiences. the boys look sunkissed and beautiful. Your boys will have such a worldliness about them when you all return. Seth did a great job on his blog, i am amazed that you get time for any school work at all. Michael is coming down to visit next weekend with the twins that he provides respite for on weekends, so we are looking forward to hosting him and the boys.